Are you looking for quality Houston granite supplier to outfit your washroom, kitchen, laundry room, office or bathroom with countertops? Do you want the highest possible quality and the best fit for your home, lifestyle and color scheme? 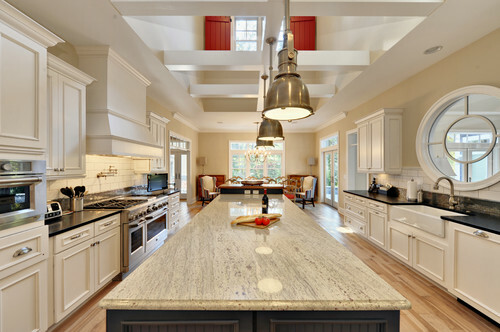 Do you feel like you have way more questions than answers when it comes to granite? Never fear: we’re here to answer some of those questions for you. Choosing stone for your countertops is a big choice, and one you’re going to live with for years – more likely decades. It’s important that you make an informed choice that works for you. Let’s get started. There are several important questions when it comes to buying granite for your countertops, the first of which is, are you sure you want granite? There are several other popular stones for countertops, including marble, though granite is among the most often chosen because it is so gorgeous and durable at the same time. Another important question is whether you will have a backsplash in your kitchen. This makes it easier to clean up after messes or spills, and ties into the color of the countertops, usually extending up the wall to meet the cabinets. While its common to use the same color, some people elect a different color, or use tiles to make a pattern. It’s up to you. Another important factor is when to use granite. Unlike some other types of stone that have more specific uses – think slate – granite is pretty versatile. You probably don’t want to install it outdoors, where the finish might get ruined, but indoors the sky’s the limit. Use it for the bathroom, the kitchen, the mudroom, the laundry room or to add an accent to bars, dining room sideboards or offices. Pretty much any time you want a durable stone that will last for decades, granite cuts the mustard. Granite comes in a wide range of colors, mined from granite quarries across the world. Before making your selection, it’s wise to look through the wide range of available colors to choose the one that’s best for you. Other granites are composed of a huge variety of different colors. There are also manufactured granites, but these aren’t as nice. They have a different texture, and up close it can be obvious they aren’t real. If you want the full effect of beautiful stone countertops, you’re best off avoiding imitations. Choosing pieces of granite is highly individual, so while you can have your contractor do it for you, it’s probably best to do it yourself. The best approach is to look at specimens in a showroom to pick the exact type of granite you want. Keep in mind that not all whites or blacks are the same, and depending on the colors in your kitchen, bathroom or other room, they may or may not mesh. So bring in paint swatches and wood colors with you when you go to look at samples. If possible, look at the slabs themselves and select the ones whose patterns and shapes you like. If not, let your supplier know exactly what you’re looking for and they can order it for you. Wondering what questions to ask your contractor or granite supplier before signing on the dotted line? Will you cut the countertop edge for me? How long is this stone guaranteed for? How often should I refinish it? Is this stone recommended for certain areas of the house and not others? Are there any uses that void the warranty? Does this stone have a tendency toward staining? If you’re looking for a Houston granite supplier, we can help. Let us know if you have any additional questions after reading this guide, or if you’re ready to get started selecting your new stone and beautifying your home. We’re here to help whenever you’re ready.